Earlier this spring I wrote an article about how I shaped the curved legs for my Walnut Cabinet. 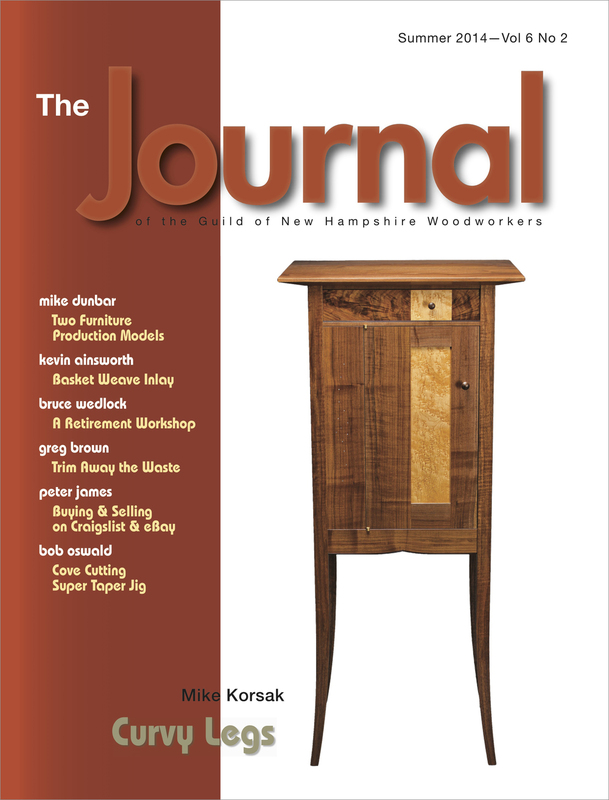 The article was published in The Journal of the Guild of New Hampshire Woodworkers and is available to view by clicking on the image at right. In the article, I describe the entire process of making the curved legs, from design to final shaping. Why did I design this piece with curved legs? Because the curves lend a nice bit of elegance and refinement. And it's another way to add a level of individuality and personality to my work. Breaking out of the rectilinear and into more curvaceous forms is important to me as a furniture maker. I hope the article provides insight into the process.